Three major antioxidants in mamaki leaves are catechins, chlorogenic acid and rutin. Catechins are a type of antioxidant found in the greatest abundance in the leaves of the tea plant. In smaller amounts, catechins are found in other foods such as red wine, chocolate, berries, and apples. The health benefits of tea catechins have been under examination since the 1990s due to the strong association of tea with long life and health in many ancient cultures. Chlorogenic acid is a powerful antioxidant. It is commonly found in root vegetables such as carrots, radishes, turnips, and burdock. Rutin is a flavonoid in the polyphenol family. Rutin is commonly found in red wine, buckwheat, citrus, and tomato skin. An animal study also showed that rutin is an antioxidant effective in controlling bodyweight. Mamaki Pipturus albidus (Pine family) is a indigenous Hawaiian tree or shrub with green leaves containing prominent red veins. The premium leaves are hand plucked from the tips of the plant and make a natural healing herbal tea and tonic. The Mamaki Pipturus Albidus botanical also produces edible white berries annually that grow along its branches. Mamaki tea and Mamaki berries were used traditionally to relax tense muscles prior to childbirth. Based on ethnology-botanical folklore & Hawaiian traditions, this ancient native Hawaiian plant evolved in the islands prior to the Polynesians arrival to Hawaii. Mamaki Pipturus Albidus only grows in Hawaii and isn’t found elsewhere in the world. 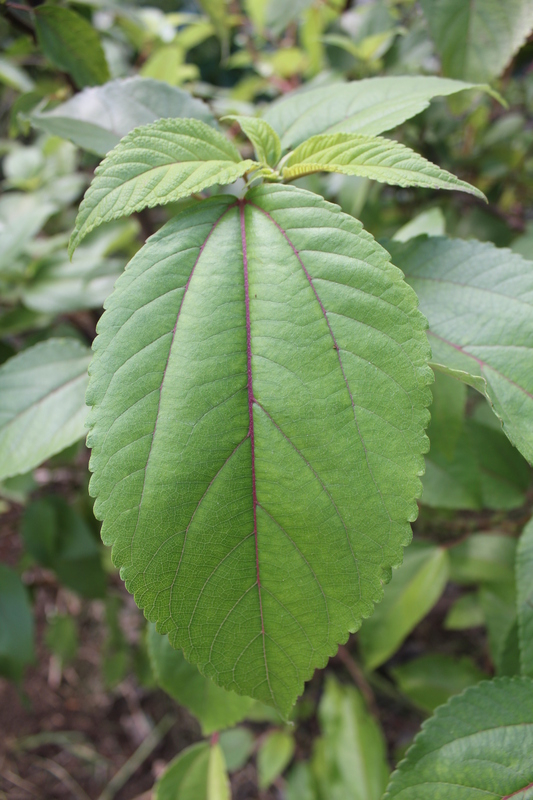 Native Hawaiian Mamaki is a known herbal remedy for general debilities, lowering high blood pressure, reducing cholesterol, and cleansing toxins from the blood, as well as relieves stress and fatigue. It was and is to this day used for stomach problems, colon problems, liver troubles, bladder problems and irregular bowels. It has also been credited to help maintain balance for diabetes for some people. Mamaki is naturally cholesterol and caffeine free. People consume the leaves raw or cooked as it is a nutritious green leafy vegetable. The bark was traditionally used to make cloth (Kapa). Māmaki is one of the best native plants to attract the only two native butterflies Pulelehua Kamehameha or Kamehameha butterfly (Vanessa tameamea) and Koa or Blackburn butterfly (Udara blackburni)–a good reason not to spray insecticides on the plants.